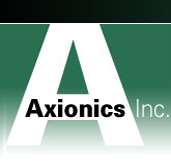 Axionics, Inc. has been providing quality electronic assembly services for nearly 20 years. With great communication and customer service we will complete your job on time, every time and the first time. At Axionics, Inc. we build everything to your specifications – from designing PC boards, assembling your current build from a kit or full turnkey production. Axionics, Inc has the economical solution to all of your assembly needs. We will even pick up and deliver locally! We will also drop ship to you or your customer. Get us your requirements today!! Remember at Axionics, Inc - We are your custom electronic assembly partner.